As I write this newsletter – the birds are actually chirping outside of my window! Finally... the warm weather is here and we can start to enjoy some of the beauty Mother Nature has to offer. With May being the month of “mom” – this newsletter is dedicated to all the moms, grandmothers, caretakers and female leaders in our community. A big thank you for all that you do. This edition of the Dr. Joey newsletter is filled with delicious spring recipes, a few of our new favorite beauty and food products, weight loss savings and great articles. Happy spring Canada – we deserve it! with my 5 simple and easy health tips. 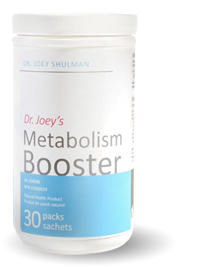 The Metabolism Boosting Supplement is back in stock! We apologize for being sold out temporarily. Woman’s Health Fair on the secrets of health and weight loss. Canadian designer - Jeanne Lottie designs bags for women who love life. 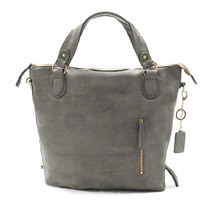 At an affordable price tag – this Christine bag is a “must have” for summer. With a chic boho look and a removable cross body strap, the Christine bag is both functional and great looking for weekend wear or moms on the go. Available in white, stone, red or black. Finally – we have found a hand sanitizer that works and smells great! 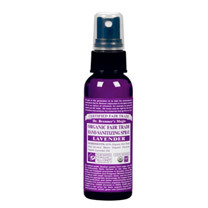 Dr. Bronner’s lavender scented hand sanitizer spray is free of GMO-alcohol and contains organic glycerin to moisturize the skin The gentle and natural lavendar scent makes this product great for spraying in your office, house, or car, giving a refreshing aroma and re-vitalization to the air. I absolutely love the story behind these tasty chips. A fourth generation potato farmer finally conquered his quest to make the perfect chip. This tasty chip has it all - low sodium, non-GMO, gluten free, no cholesterol and trans fat free. Hardbite Potato Chips offer a variety of flavors that are Canadian made and prepared with natural, “feel-good” ingredients such as rock salt and vinegar, jalapeno, smokin’ BBQ, ketchup and sea salt and pepper. 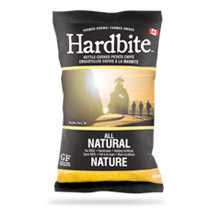 For the cottage, BBQ season or at a picnic – you will definitely want to have Hardbite chips on hand! 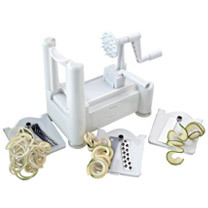 Whenever I make a spiralizer recipe on Cityline – I am always flooded with “where did you buy that” e-mails! A spiraIizer is the perfect way to enjoy “pasta like” noodles from vegetables such as zucchini, carrots or sweet potatoes without the wheat. Eaten raw or cooked, simply spiralize and add your favorite sauce (tomato, rose or pesto) and enjoy! Versatile, easy to use and clean – it is the perfect addition to your kitchen gadgets. In a large pot add water, rhubarb, and lemon zest. Allow mixture to come to a boil. Once it has boiled, reduce heat to simmer and let sit for 15 minutes. Add strawberries and raspberries and cook for an additional 2 minutes. Allow cooling for 1-2 hours. Then use a blender to blend the mixture together. Once the mixture is smooth, add the lemon juice. Once cold, top with a couple raspberries, a slice of lemon and 1-2 mint sprigs and serve. Chop all veggies and add into bowl. Sprinkle with goat’s/feta cheese (optional). Slice 2 hard-boiled eggs in half and place on top. Cube avocado and add before serving. Combine banana, maple syrup, oil, cinnamon, vanilla, eggs, chocolate chips, baking soda and lemon juice. Then add the almond flour and flax seeds. Mix well. Add the batter into a pre oiled loaf tin. Add all ingredients, except Parmesan cheese, into food processor and pulse. Once well combined, slowly add Parmesan cheese until dressing thickens. Rhubarb is finally is season! Traditionally, rhubarb is used in pies, crisps and muffins, and known for its tart and bitter taste. 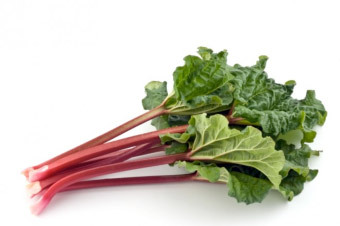 Rhubarb is a good source of health benefiting nutrients, including fiber, antioxidants, vitamin C, and vitamin K. Rhubarb can be found in a few different colors (red, pink and green) – but remember... the redder the stalk, the more tart it will be. The skin of the rhubarb contains a lot of the color and flavor, so avoid peeling the skin as you chop up the stalks. How to say good-bye to dieting for life! Take charge of your health and join the thousands of men and women who have already reached and maintained their goal weight by following The Last 15. You can too! To order, click here. Kindle options available. Did you hear? 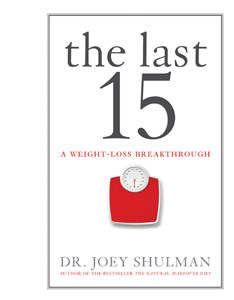 All Shulman Weight Loss programs are 10% off for the month of May only. That is over $100 in savings! 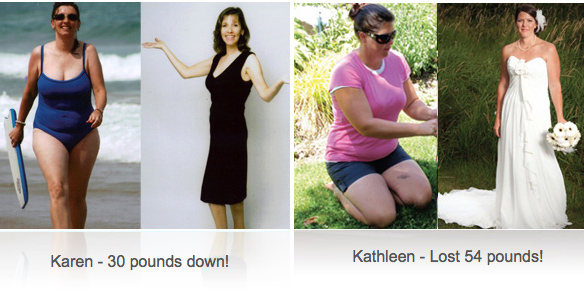 Our personalized and hormonally balanced weight loss programs have helped thousands to finally lose the weight... and live their life.